Basically everyone could use a tip or two to get closer to becoming a master of the kitchen, and buying this horrifying egg separator isn't the solution. So, today, take nine lemon hacks and then start buying lemons like you're the event planner for Beyonce's album release party. Of particular use are hacks that help vinegar cleaners be less putrid smelling or how you can basically turn a lemon into a scrubbing brush for your cutting board. But, better than the practical hacks, a couple of Household Hacker's suggestions are ridiculous and wonderful. 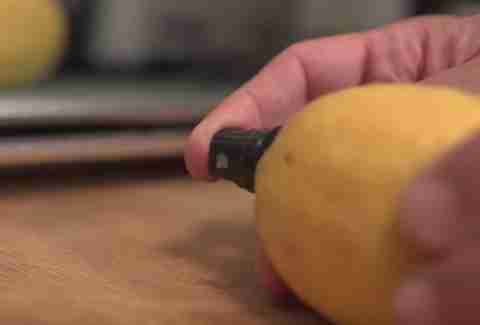 For example, take the sprayer of a small spray bottle and push it into an actual lemon, after you roll it and chop off the ends. It then looks like a prop in a weird Glade commercial, but Household Hacker is saying it actually works. You can use or au naturale spray lemon to stop fruits from browning or to clean up if you're using lemon juice to wipe down counters. Or just use it to add lemon juice to food in a fancy manner. 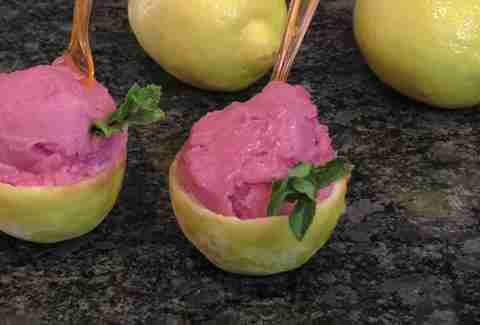 In another hack, lemons get carved up, frozen, and filled with sorbet. Just like that, you're taking back pats for a delicious and good looking dessert when you didn't do much more than scoop frozen treats out of a pail. You could probably also serve a very tiny old fashioned or gin and tonic out of a frozen lemon half. It'd be comically small, but the cup would be a lemon, so you're still a hero. Dustin Nelson is a News Writer with Thrillist. He will almost certainly be trying to drink a gin and tonic out of a soggy lemon on a patio this weekend. Follow him @dlukenelson.